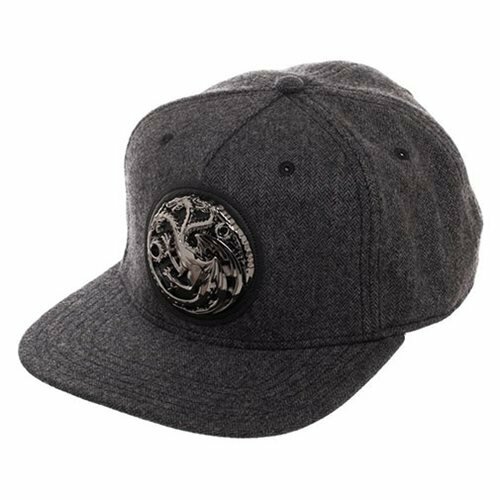 Featuring the House's three-headed fire-breathing dragon in a metal badge with PU leather applique on the front, this Game of Thrones Targaryen Grey Snapback Hat is made of Herringbone fabric. One size fits most. Hand wash cold. Lay flat to dry.